Pedestrian Hit By Tractor-trailer on SW Kanner & SW Conners | Schuler, Halvorson, Weisser, Zoeller & Overbeck P.A. 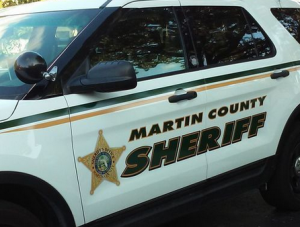 A pedestrian was injured in a crash involving a tractor-trailer at the intersection of SW Kanner and SW Conners Highway, according to the Martin County Sheriff’s Office. The crash happened when a pedestrian who was trying to cross the road was hit by a vehicle near Lake Okeechobee, authorities reported. The pedestrian suffered head injuries in the crash. The severity of the injuries was not immediately available. Martin County Sheriff’s office said the pedestrian stopped his vehicle for an unknown reason on SW Conners Highway. He got out of his vehicle and tried to walk across the intersection when the vehicle struck him. The vehicle driver stopped. The emergency crew arrived shortly after the crash to transport the victim to the hospital. His condition is unknown at the time of this report. According to crash report, the truck went through a guardrail and into a ditch after hitting the victim. Traffic backed up for hours along the intersection of SW Kanner and SW Conners Highway as both sides of the road were down to one lane. Drivers are advised to use an alternative route. No word yet on what led to the crash according to the Sheriff’s Office.